It all started when the Imperium seized control of Earth and declared martial law, sentencing those who opposed their will to immediate death or worse fates. It seemed as if all hope was lost, but before their edict could be carried out, a group of defectors managed to wrest control of the Ridback, a Class–II jumpship, and flee with as many of the condemned as they could save. It has been close to seven years that these refugees from Earth have called the Ridback home, and finally the crew has found a planet with promise. They have managed to establish outposts around it, and now the great burden falls on you to expand these small “alphas” into a full-fledged Beta Colony. Success will mean that your people will be able to begin life anew on exoplanet 14 Bos c, or, as they have renamed it, "Victus" — Latin for "way of life". 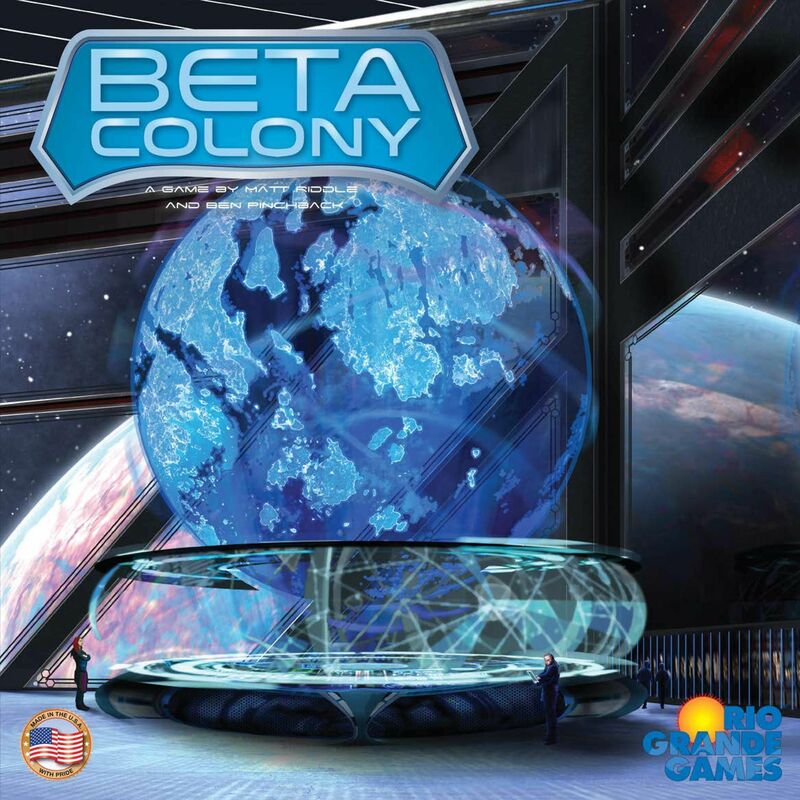 In Beta Colony, you play as one of five Directors working to create prosperous colonies. If you earn the most Confidence Points (CP), you will be elected as the first leader of Victus. Players will collect the needed building materials to produce and erect colonization pods – Defense Stations, Science and Tech Towers, Living Quarters, Agriculture Pods, and Water Treatment Centers – on the varied terrain of Victus. Wenst u het gezelschapsspel "Beta Colony" aan te kopen?